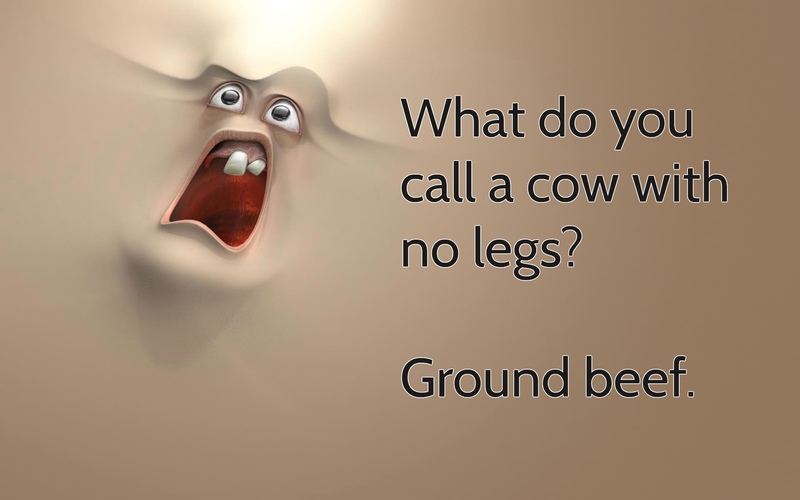 Take a break from stress and make use of these hilarious jokes as a breather. Life is not meant to be monotonous and boring! Humor is one of the most important features of life. It supports every human being; hence, you need to pause and smile every once in a while. Life seriously has a lot of unexpected twists and turns that may take a toll on your perspective. But if you know how to accept and embrace those little or big surprises, life would be more fun and satisfying. And you’ll never go wrong with jokes as your confidante. Here are some hilarious jokes that would really make your life easier as well as improve your mental health. 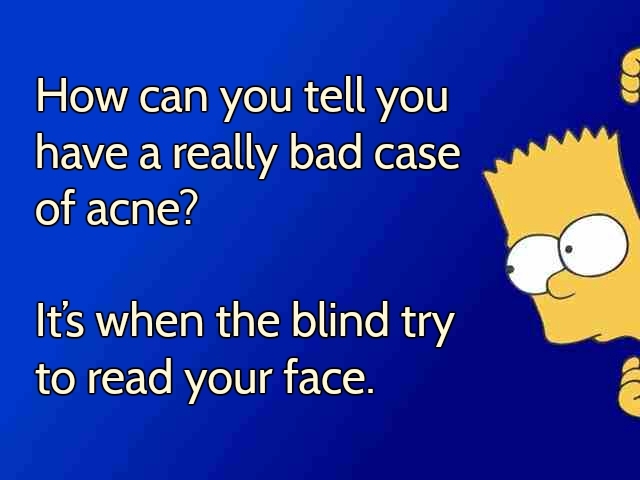 How can you tell you have a really bad case of acne? It’s when the blind try to read your face. A book just fell on head. 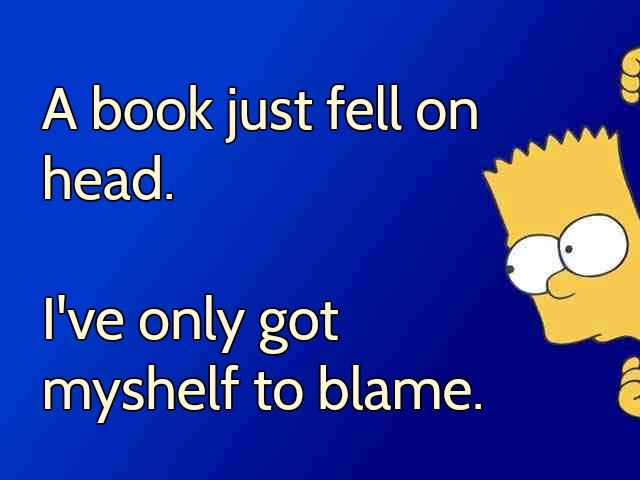 I’ve only got myshelf to blame. Did you hear about the Italian chef that died recently? 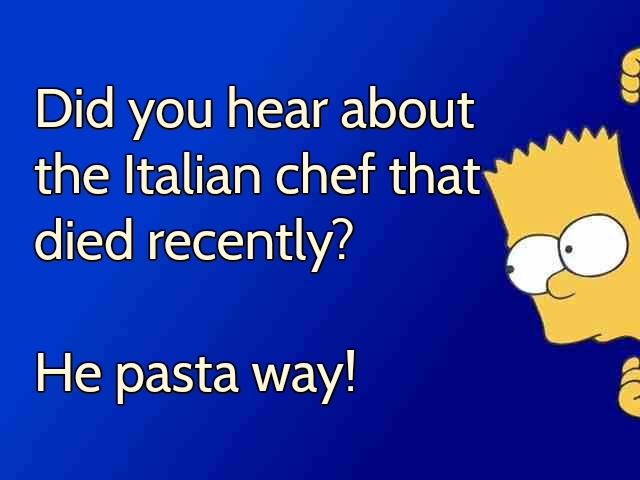 He pasta way! 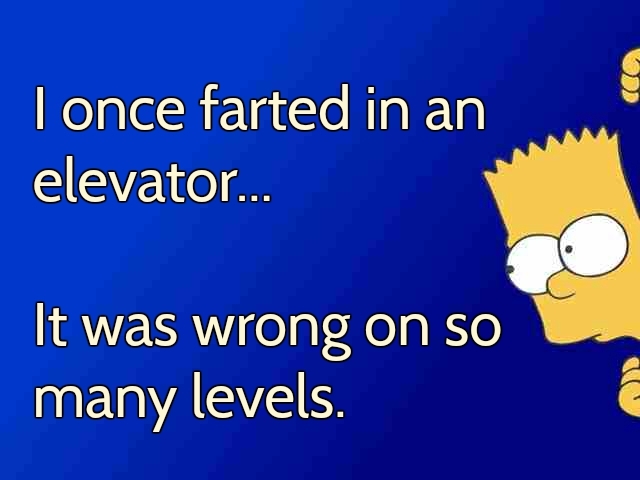 In once farted in an elevator… It was wrong on so many levels. 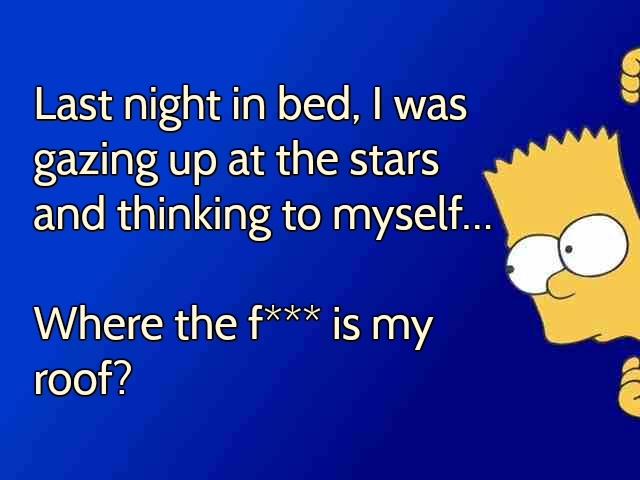 Last night in bed, I was gazing up at the stars and thinking to myself… Where the f*** is my roof? 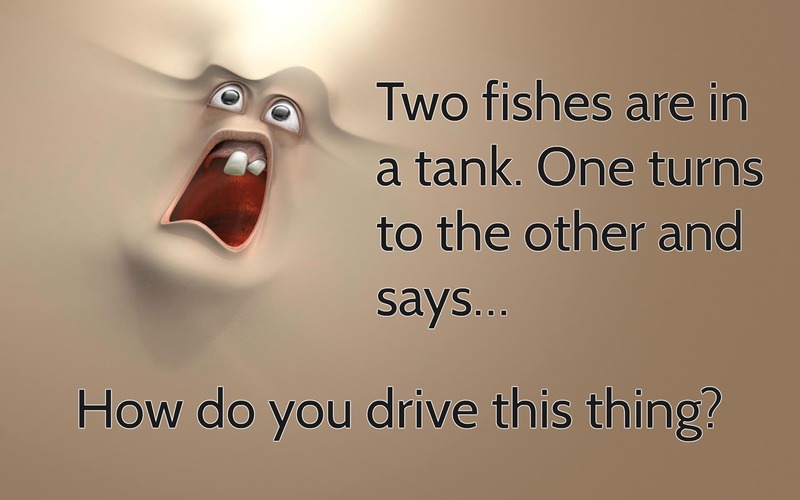 Two fishes are in a tank. One turns to the other and says… How do you drive this thing? What did the 0 say to the 8? 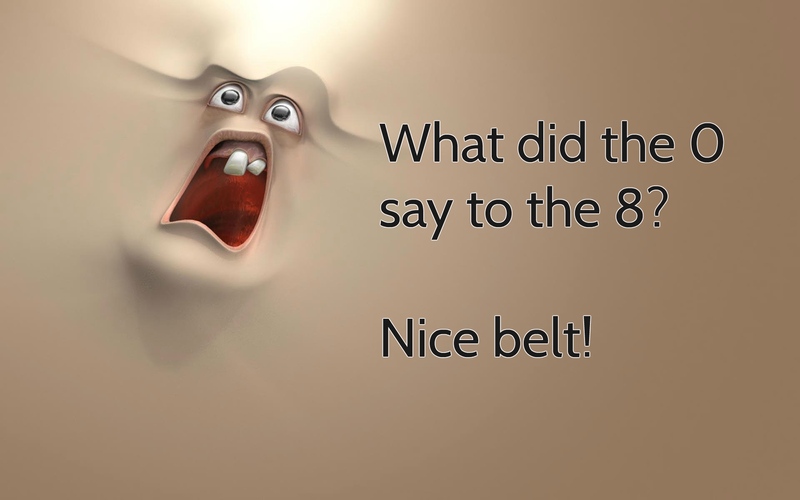 Nice belt! 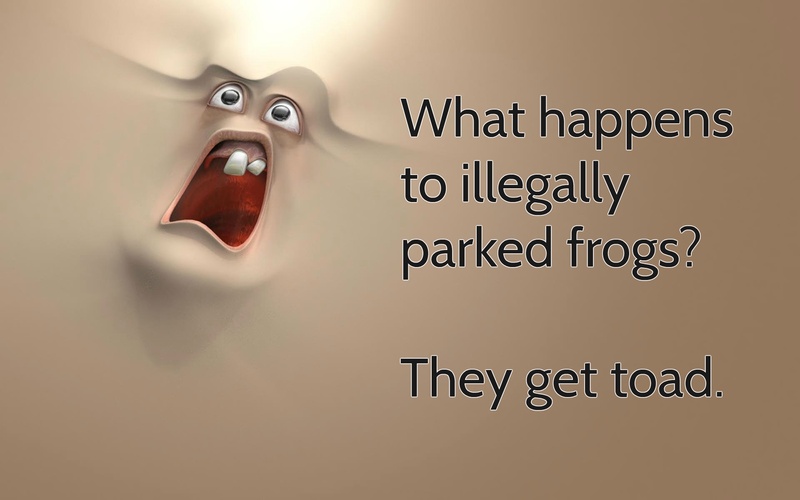 What happens to illegally parked frogs? They get toad. 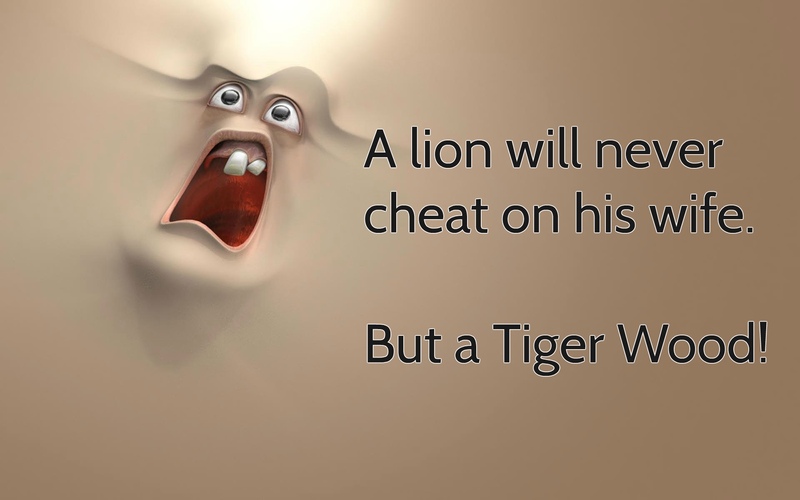 A lion will never cheat on his wife. But a Tiger Wood!